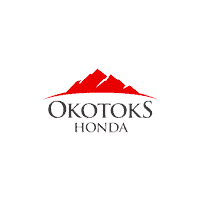 Okotoks Honda is committed to providing our customers with an stress-free and hassle-free, full transparent purchasing experience. We have found our long-lasting success by being fully transparent upfront, honest, and straight forward with our customers. As “Discover the Difference” as our motto and being “Worth the Trip” as our unique proposition, we have highly customer focused staff that will cater and listen to all of your needs with a no pressure experience. We provide our absolute best price right up front on all of our pre-owned vehicles with a no haggle experience. We offer a complimentary Live Market Report giving you our best up front pricing, and value on every vehicle. Our Live Market Report will analyze your vehicle and show you how we compare our priceand mileage to similar cars in the market. We thoroughly examine every pre-owned vehicle, to ensure that the vehicle is 100% up to Okotoks Honda’s standards. We have experienced and certified technicians that will ensure that the vehicle meets our standards by putting it through a quality inspection which checks over 100+ points. We are a full disclosure dealership and believe in a no pressure environment. Unlike other dealership, there are no security fees, administration fees or hidden documentation fees – what you see is what it is. You will receive a free full CarFax outlining the history of the vehicle to ensure that you understand everything about the vehicle before the purchase. If you’re a Honda owner in the Okotoks, High River, Calgary, De Winton, Foothills and surrounding Calgary areas, click here to view all our pre-owned models.